What better way to spend an hour with good friends than by being intentionally locked in a room? At Lockdown SG, 1 hour might not even be enough! Escape rooms originated from Japan and Hungary in 2010, before landing on our shores in 2013. 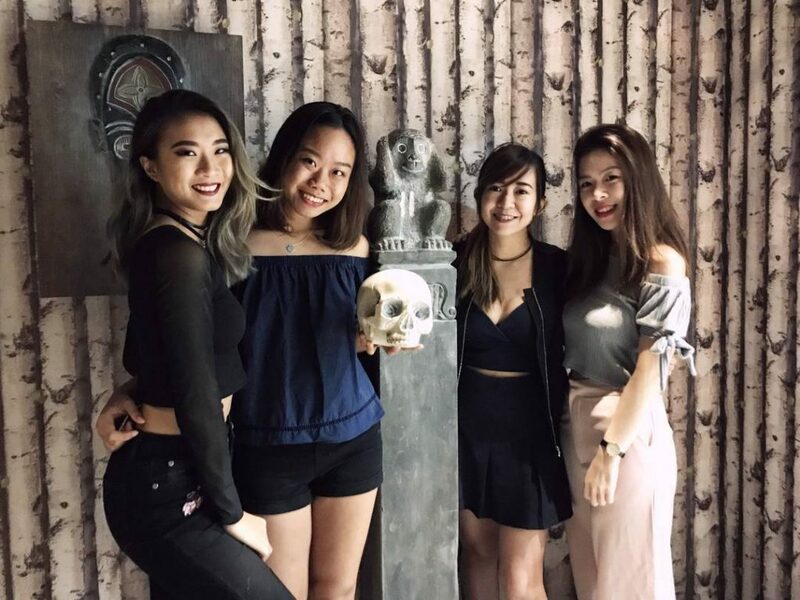 Since then, it has taken Singapore by storm as friends, family and colleagues began putting their wits and teamwork to the test in these escape rooms. 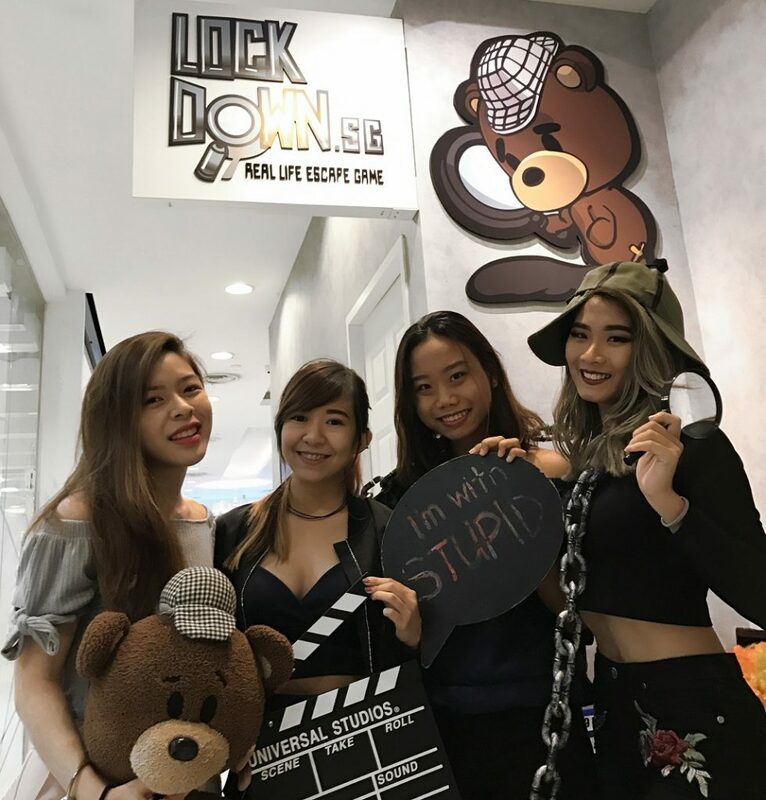 DiscoverSG’s lovely ambassadors Cheryl, Evelyn and Jessie went down to Lockdown SG at Clarke Quay Central to try one of the 6 constantly changing rooms. With an hour on the clock in The Forgotten Temple room (one of the most challenging and technologically advanced adventure rooms), the ladies put their heads together and got out with 14 minutes to spare! 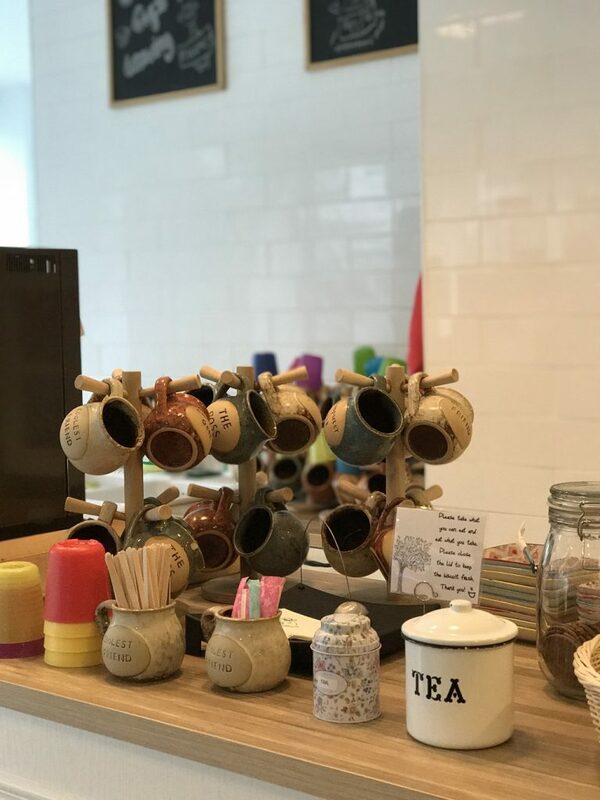 After a thrilling escape from the Egyptian-cursed room, we sat down at the only timed cafe in Singapore, Coffeemin, and had a talk with the owner, Zoltan. Why did you decide to bring Escape Adventure rooms to Singapore? Escape games are just fun. You can come down with your friends and have fun. Lockdown SG focuses on both the retail aspect–which is what you have here at Clarke Quay Central–and events. For retail, the idea was to make the escape rooms inclusive and suitable for all ages. Unlike other escape rooms, it is less physically demanding so that the elderly and even corporates can participate in the experience safely. How do you ensure the rooms are safe for all participants? Before each team heads into the escape rooms, participants are first required to sign an indemnity agreement. Following that will be a short briefing of the safety protocols, as well as the game instructions. Compared with other escape rooms where you are only given 3 phone calls for clues, there’s an unlimited number of phone calls [here], which [is] a safety procedure for any issues that might pop up. To top it all off, each room has 2 CCTVs, where the staff can observe what is happening in the room at all times and intervene when necessary. What can companies who are looking for escape room concept events look forward to? One of the recent events we did was at Haw Par Villa, where dozens of people attended over 4 days. The objective of that room was to [bring back] your friend’s spirit from the spirit world. I shan’t give too much away and spoil the fun for any of you looking to experience it yourselves! So why the decision to have a timed cafe right next to the escape rooms? 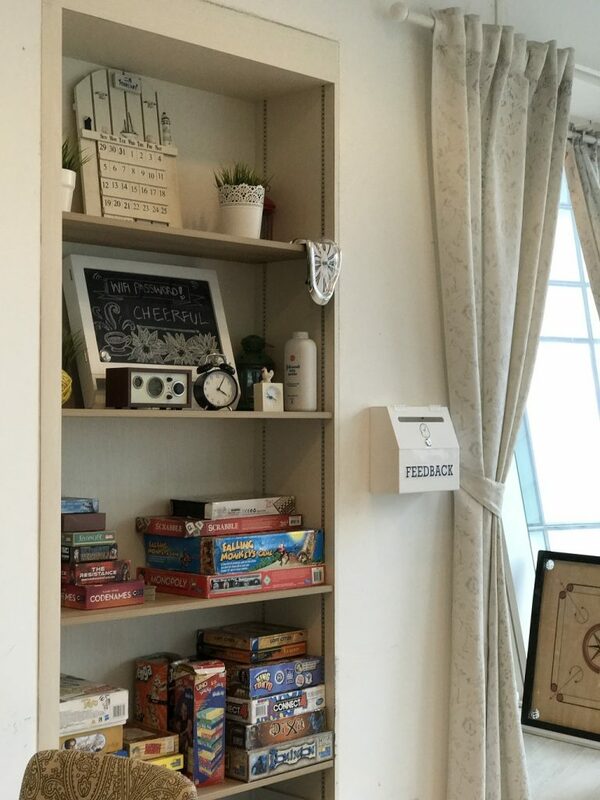 It was pertinent for us to have a venue next to the escape rooms where people could sit down and have a coffee after their game. 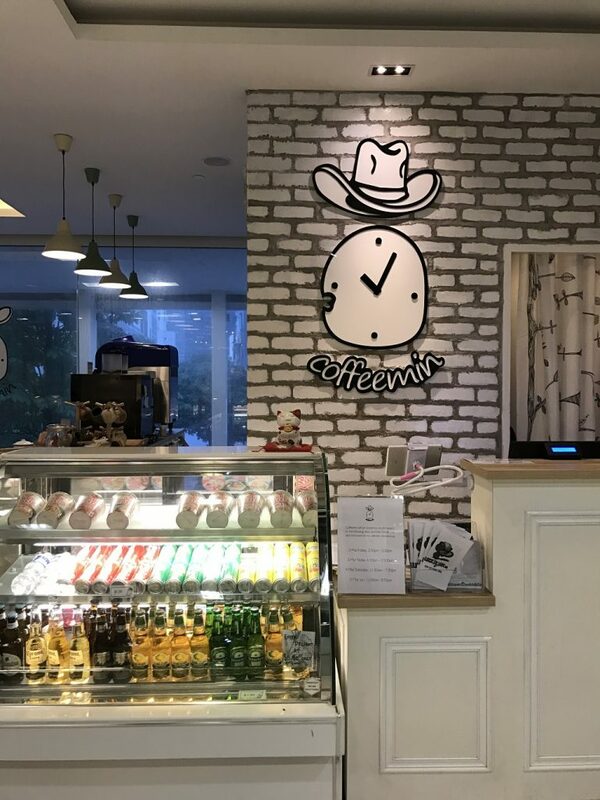 We wanted something cool and new, and when we heard of this timed cafe concept from Russia, Japan and Korea, we decided to open one here, next to Lockdown SG. For Coffeemin, I see a lot of youngsters hanging out, playing board games, Xbox, League of Legend, PC games, etc. The first hour is S$6 per hour, and S$1 every 10 minutes subsequently. You’re only charged for the time; everything else in the cafe is included for free. [There is] unlimited drinks, snacks, and all the games are available. You’ve described this cafe as the new coworking space and anticafe for creative professionals, freelancers and entrepreneurs in Singapore, and a ‘Home away from home’. Who is this cafe for? It’s for everyone! During office hours, we see quite a few corporates having meetings here. During the evening and weekends, we usually see youngsters, tourists, and occasionally even US Marines! At Coffeemin, they can Skype, chill and have some fun. We even host birthday events and baby showers in the cafe. We asked the ladies how their escape adventure experience was and here’s what they had to say. If you’re looking for a fun, new way to spend an afternoon with your friends, family, or even colleagues, give Lockdown SG a shot! Test your brain power, team spirit and puzzle-solving skills, and follow that up with a lovely rest at Coffeemin next door!